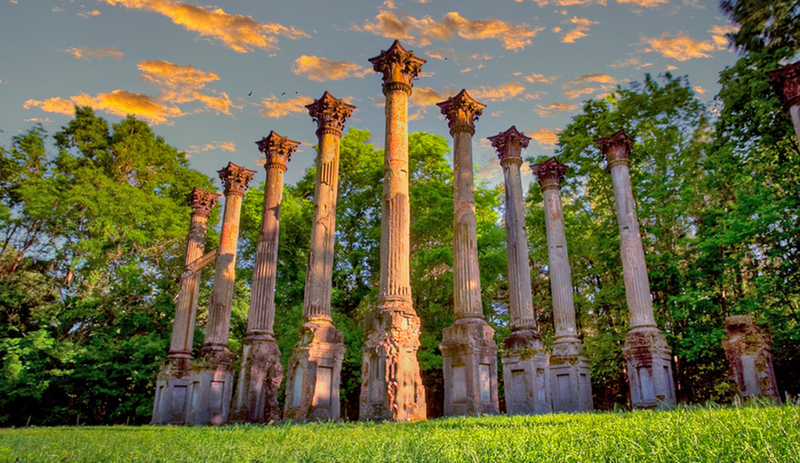 The recorded history of Mississippi began with the coming of the Europeans. More specifically, with the expedition of Hernando De Soto, who is credited with the discovery of the Mississippi River. However, long before De Soto arrived in the area now known as Mississippi, perhaps as much as 10,000 years earlier, Native Americans inhabited, planted and hunted the land. They navigated the "Father of Waters", fished and built their villages along its shores, and raised countless new generations teaching them each in succession to respect the land and to live in harmony with it. By the 16th century, there were three predominant Native American tribes living in the area. The Chickasaw occupied the lands in the northern and eastern portions of the state. The powerful Choctaw tribe lived in the central portion of the state ranging northward to the Chickasaw lands in the northwest and southward in the east. The Natchez occupied the lands in Southwestern Mississippi. With the arrival of the Europeans, the record of Mississippi history began to change and grow rapidly as the new settlers interacted with the natives. The settlers traded with the Native Americans, learned from them about the wildlife and vegetation of this new country, and domesticated the land from which they pushed them. It was the continuation of an old story that would last for another 350 years. The entire Mississippi valley was claimed by France in the latter part of the 17th century and the first permanent European settlement was constructed near what is now Ocean Springs in 1699. The Natchez, tiring of the increasing European encroachment on their lands, attacked the French settlers hoping to reclaim their lost territory. The French, nonetheless, rose to the occasion, eventually defeating the Natchez. This, the first of many area conflicts later to be known as the "Indian Wars", resulted in the general dispersion of the Natchez people which subsequently ceased to exist as a factor in Mississippi history thereafter. The French now faced the Chickasaws at various battle sites of Southwestern and West central Mississippi. Following the French and Indian wars, in 1763 France, weary of the fight, ceded its possessions to Great Britain retaining only New Orleans. In 1779 the Spanish rose to capture Natchez and, under the Treaty of Paris, (ending the American Revolutionary War) also gained control of West Florida which included the southern half of Mississippi. The new America, however, now clearly possessed, without challenge, that part of Mississippi north of 32 degrees 28 minutes North latitude. In 1798 the path to statehood was started as the original Mississippi Territory was created by the U.S. Congress. This "first cut" at defining and expanding the boundaries of the fledgling United States, created the territory as a strip of land about 100 miles wide from the Mississippi River to the Chattahoochee River on the Georgia border. The land area of the territory was increased by the West Florida rebellion of 1810 and the end of the War of 1812. Finally the area of Mississippi Territory reached from the Mississippi River in the West to the Chattahoochee in the East and from Tennessee in the North southward to the Gulf of Mexico including all of the lands of both present day Mississippi and Alabama. In 1817 the U.S. Congress divided the Mississippi Territory into the Mississippi and Alabama territories. Later that same year, Mississippi became the twentieth state. Over the next two decades, various treaties with the Choctaw made greater and greater land areas of the territory accessible to Americans until with the Treaty of Dancing Rabbit Creek, the first treaty of the era under which Native Americans were literally removed from their homelands, Mississippi was ready for settlement. Copyright © 2009 - 2019 by MSGHN, All Rights Reserved.